Some applicants though, are disappointed that our MD degree cannot lead to becoming a licensed physician in the USA (although in some countries it may be used to satisfy non-clinical education requirements). Various exciting careers for a person possessing an MD degree are “under the radar”, and we would like to highlight some here. We believe that ObamaCare and the medical insurance industry are going to create new jobs for MD’s in federal and state health care administration, and plentiful ones at that. With an MD degree you can ride the wave of this wholly changed and developing industry. 3. Medical Officers: Serve as medical officers for corporations, insurance companies, and pharmaceutical companies. 4. Laboratory manager or research associate. 5. Grants writer: Prepare proposals to the federal government for obtaining research funds. 8. Healthcare administration – Health Care is a big big business, and there are many positions in Health Care Management and Development. 9. Wall Street Analyst – Analyst to review drug and medical companies, technical stat-ups for financial firms. 10. Writing and medical communications – Do you enjoy writing? Many physicians and non-physicians have very successful careers as medical writers. The field is open to people who enjoy fiction writing, publications, research, or other types of writing. You can get involved working on journal publications, developing promotional content for marketing campaigns, or developing CME programs. Join the AMWA (American Medical Writers Association) and look for opportunities. You can work from home as a freelance writer and have a very flexible schedule. Or, you can work for a publisher or another type of healthcare communications company. 11. Technology and Informatics – Want to develop or improve an electronic health record (EHR) system? Do you love informatics? Then join the CCHIT(Certification Commission for Healthcare Information Technology), the AMIA (American Medical Informatics Association), and the AHIMA (American Health Information Management Association). Clinicians use EHRs and patients (or consumers) use PHRs (Personal Health Records). There are many companies attempting to integrate the data between PHRs and EHRs. There is a national initiative to improve and standardize public health informatics, so now is a great time to enter this industry. No clinical experience necessary, but you should be familiar with ICD, CPT, and other billing codes used in this industry. 12. Disease management – Managed care organizations (MCOs) are always looking for better disease management (DM) programs for their plans. Some MCOs develop their own DM plans and others outsource them to external companies. These companies create and deliver various services to managed care organizations, including DM, wellness programs, personal health record (PHR) services, etc. Do you ever get educational pamphlets from your own health plan? Who puts them together? Who designs and develops these wellness and preventive health programs? It’s not always WebMD. There are other companies that provide similar services. 13. Pharma/Biotech/Device – If you’re a medical specialist, there are many opportunities to do research for these companies. If you don’t enjoy research, then you can develop marketing strategies. Direct-to-consumer (DTC) advertisements have become very popular these days. See all those ads in the medical journals? Get ready for that “corporate America” lifestyle if you plan to venture into industry. You may be working even more hours and carrying a Blackberry instead of a pager, but if you climb that “corporate ladder” and play the corporate game, you may qualify for an early retirement. 14. Public health – Join the CDC and travel the world. Develop strategies to improve population health. Some pharmaceutical companies also have public health sections and are very devoted to public health and international health (Pfizer in particular comes to mind). Bridge gaps in healthcare disparities. 15. Consulting – The world is open. Want to work for yourself or for a company? Many healthcare companies are looking for experts to help them develop, refine, and improve their products and services. 16. Research – Academia vs. private vs. industry vs. CRO. You don’t have to go into industry to do research. Look for a Contract Research Organization (CRO) in your area. Join the ACRO (Association of Clinical Research Organizations). Start with PPD (no, this is not the TB skin test). 17. Executive recruiting – Physicians can work as an executive recruiter to hire and place other physicians. You can also work your way up and manage other recruiters who do the hiring. Remember, these ‘head hunters’ get paid a commission based on the salary of the person they place. The $ earning potential can be tremendous if you’re successful. 18. Start a company – Have an innovative idea? Start a company! New companies seem to be sprouting all the time. Stay connected with people and keep your eyes open for new ideas. We would also like to expand on “consulting” opportunities and give a more concrete presentation of just what “consulting” is with an MD degree. McKinsey & Company, a consulting firm that hires MD’s for consulting positions, maybe hit it best when they said: “Why your most rewarding health care career choice may not be what you expected”. 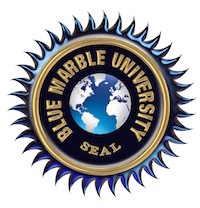 They present a summary of ideas that may help you to decide if the Blue Marble University 3 year online medical degree is right for you. “Your most rewarding career choice might be to take on the most important health care challenges in industry, government, and public health organizations around the world. 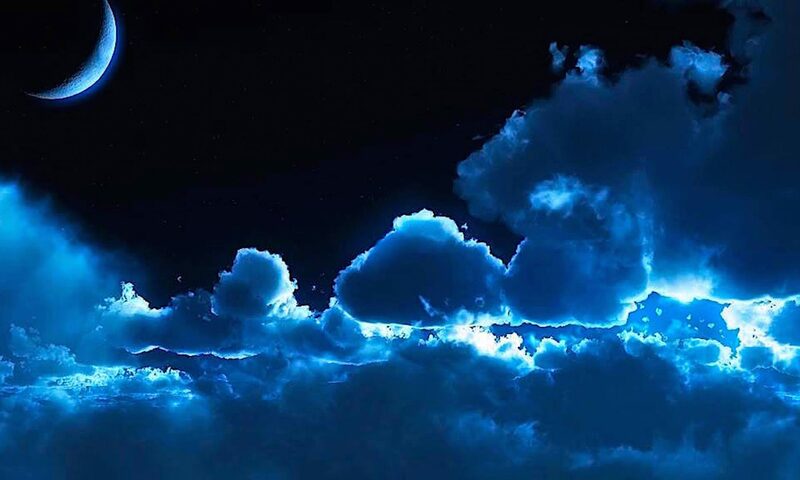 For more than eight decades, influential leaders of the most important organizations in the world have turned to McKinsey to help solve their most critical strategic challenges. Increasingly these challenges include health care. You might not have thought of management consulting as one of your possible career choices if you have an advanced medical or science degree. So you might be surprised by how many people with backgrounds similar to yours have chosen to join McKinsey. You might be even more surprised to learn that we are particularly interested in the unique skills, knowledge, and perspectives that come from your medical, scientific, or health care policy background. If you want to help leaders make significant, lasting improvements in health care, we invite you to get to know us, to consider a career with McKinsey, and to decide whether we might provide the right environment for you and your skills, interests, and aspirations. What would you do with access to the most influential leadership network in the world? When you join McKinsey, you become part of a diverse global community – a network of the best problem solvers in the world – working on some of the most challenging health care issues in the world. Your colleagues will include others with Ph.D., M.D., J.D., M.B.A., and Masters degrees, as well as experienced professionals representing more than 110 countries and speaking over 120 languages. Your clients will be influential leaders in business, government, and other preeminent institutions – clients who provide you with opportunities to help them achieve breakthrough innovations and to make substantial improvements in the health and well-being of people around the world. Today we have served leaders from over 10 national health systems, major global public health foundations, most of the top 20 global pharmaceutical companies, more than 25 biotech companies, 20 leading academic medical centers, the majority of the largest U.S. hospital systems, major pharmacy benefits managers, and most of the top managed care systems. You can help these leaders meet a broad spectrum of challenges, from developing preclinical drug discovery and development strategies for biotechnology and pharmaceutical companies, to helping large medical centers develop best-in-class clinical quality systems, and helping global nonprofits and state governments develop strategic approaches to health crises and management. Does creating world-shaping impact appeal to you? From your first day at McKinsey, you will have the opportunity to help health care leaders address and solve their most important strategic and operational challenges. You will work in teams with colleagues and members of client organizations. You will focus on arriving at practical solutions that most powerfully address our clients’ most daunting challenges. For many of us, our most meaningful work is with leading global public health organizations, often on a pro bono basis. Recent engagements with urgent health implications include assisting world leaders with reconstruction efforts in the wake of the 2004 tsunami and Hurricane Katrina, and helping solve problems related to the spread of HIV/AIDS in Africa. This work changes the lives of those we help and of those who offer that help. Your opportunity to make a difference will grow along with our health care practice, which is currently the second- largest industry practice at McKinsey and has grown at more than 17 percent per year since the late 1990s. What would you do given the widest choice of options? McKinsey gives you a range of choices. And there is no one right path. You are encouraged and expected to pursue your interests and your passions. We counsel health care clients across many business issues, so you will also be able to pursue your interests through a variety of functional areas, such as strategy, sales and marketing, operations, organization, and corporate finance. You might choose to spend part or all of your time working on health care, or you might decide to work in a completely different industry altogether, such as media, telecommunications, high tech, consumer products, or financial services. Many partners with years of experience elect to pursue new growth by applying their skills in entirely new industries and geographies. Joining McKinsey creates new choices. While we hope you make a career at McKinsey, we know you will have many options. The knowledge you gain, the skills you acquire, and the enduring relationships you build will open doors both within and outside the firm. Where will exceptional growth take you? At McKinsey you will constantly be stretched so that you become the most accomplished and capable business professional possible. More than one-third of McKinsey partners don’t hold business degrees – they’re doctors, scientists, lawyers, and professionals with an astonishing breadth of academic qualifications. We do everything we can to ensure that your transition into the unfamiliar territory of business is as smooth as possible. We provide intensive business immersion training for those from non-business backgrounds. And we continue to invest in your professional development throughout your tenure, offering training in strategy, finance, nonprofits, social issues, and leadership. You will also be encouraged to stay current in your medical or scientific discipline – whether that means taking a month-long sabbatical to practice, earning CME credits, going to scientific conferences, subscribing to professional journals, or publishing on health care topics you are passionate about. You will quickly find that you are asked to take on leadership roles on client teams, where you will be able to apply your research, leadership, persuasion, and communication skills as you and your teammates work to solve some of the world’s most complex problems. Every few months, you will have the opportunity to work with new people, tackle new challenges, and learn about a new industry if you so choose. Our professional values, which have guided us for more than eight decades, determine the way we do things. We work according to a strict professional code of ethics. We strive to create lasting impact with our clients while creating an unrivaled professional environment for our colleagues. We always maintain our clients’ confidentiality. We believe in the obligation to dissent, even when it means turning away a client or delivering tough messages. 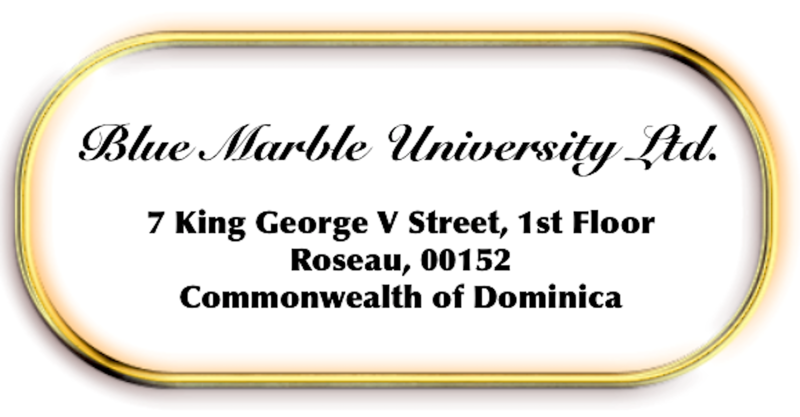 We hope that the above may give you an idea about what “medical consulting” with an MD degree from Blue Marble University might be like.